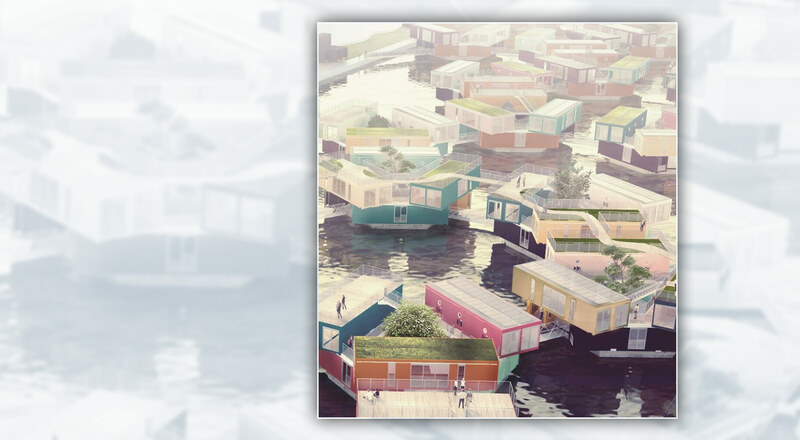 Copenhagen has recently launched its Urban Rigger project; a new floating housing proposal designed for students and manufactured using shipping containers. The first module, unveiled on 21 September, has been very well received and the remaining apartments are expected to be completed in the very near future. Each housing module consists of six shipping containers positioned on two levels to form a triangle in the middle, which acts as a courtyard and communal area. The top has been made into a roof terrace from which tenants can enjoy views of both the sea and the city. Each container corresponds to a 27-square metre apartment divided into a bedroom, living room, bathroom and separate kitchen. The €650 monthly rental cost per unit may seem expensive but not when you consider that the average rental figure in the Danish capital is actually €1,200. This project aims to respond to the growing number of students in need of accommodation across the European Union. In fact, according to the project website, governments and local authorities in the EU are desperately seeking solutions to the growing problem of students seeking affordable housing in the vicinity of their universities. Sustainable development is another key feature of this innovative project. According to its designers, the conversion of containers into residential units represents a much lower environmental cost than that of melting them down. All modules will be fitted with solar panels for heating and a form of insulation is being used which features a sheet of aluminium derived from recycled soft drink and beer cans.